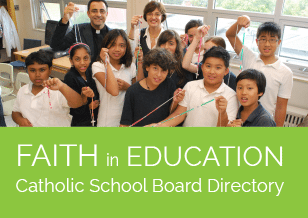 The Catholic Trustee Modules: Good Governance for School Boards is a resource for OCSTA members created by the Ontario Education Services Corporation and further enhanced by OCSTA with content rooted in the Catholic faith perspective. These Modules deliver content to specifically support the work of publicly elected Catholic school trustees. Please download and print the user guide we have prepared to assist you with this resource. To access the Modules, you will require your membership login information provided to you by OCSTA. If you have forgotten them, please see the instructions here. Authentic Governance for Student Achievement – Boards Matter!